'I was absolutely shocked. To me it looked like a concentration camp of dogs,' says Sled Dogs director Fern Levitt. A new Canadian documentary — Sled Dogs — that juxtaposes Iditarod Trail Sled Dog racing with disturbing, off-season footage of dogs pacing in endless, dusty circles, has members of the international sled dog industry furious. 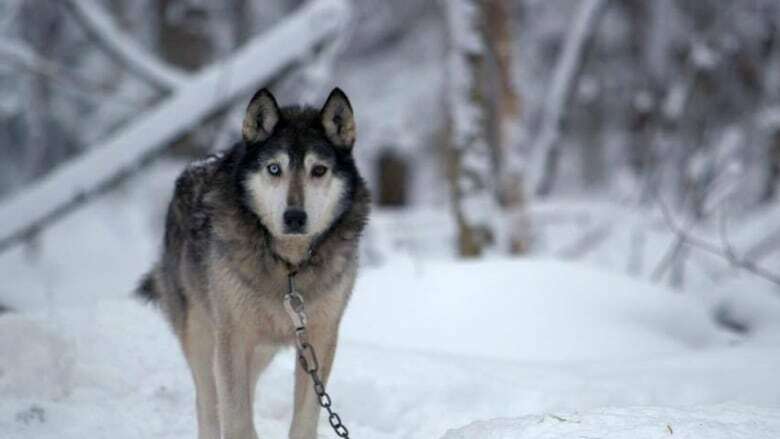 Professional dog handlers call the film — which is punctuated by the haunting jingle of a chafing dog chain — an unfair indictment of dogsledding, an iconic and long-glorified northern practice. Some dog mushers want the film pulled from the Whistler Film Festival lineup before the Dec.3, 2016 premiere. Award-winning Toronto director Fern Levitt said her passion for sled dogs was piqued in 2010 after taking a dog sled ride in northern Ontario, where she saw hundreds of chained dogs and learned 30 were about to be culled. "I was absolutely shocked. To me it looked like a concentration camp of dogs," said Levitt. "Most Canadians have no idea what goes on in the sled dog operations." Levitt's dogsledding experience appalled her, and the culling of 100 dogs in Whistler, B.C., when business slowed after the 2010 Olympics, sparked her to action. "I just couldn't turn away," said Levitt. Levitt said she is horrified that the high-profile slaughter did not change tether or culling rules; instead, B.C. issues guidelines on humane ways to shoot unwanted dogs. "It's not that I think all dog mushers are evil or cruel. I think we want to believe the myth that these dogs are different. [But] they are just like any other dog, and they have the needs of any other dog," she said. After that initial sled dog ride in Ontario, Levitt took one of the company's dogs home the same day. Her adopted dog, Slater, was skittish, afraid of human touch and only survived for three more years after having spent the previous nine years on a chain, she said. "I don't think most Canadians realize that you can legally keep your dog chained its entire life. I had no idea that it's legal to shoot your dog," she said. Levitt hopes her film inspires change to Canadian laws. The film's trailers have already lit a match to tempers on both sides of the debate. 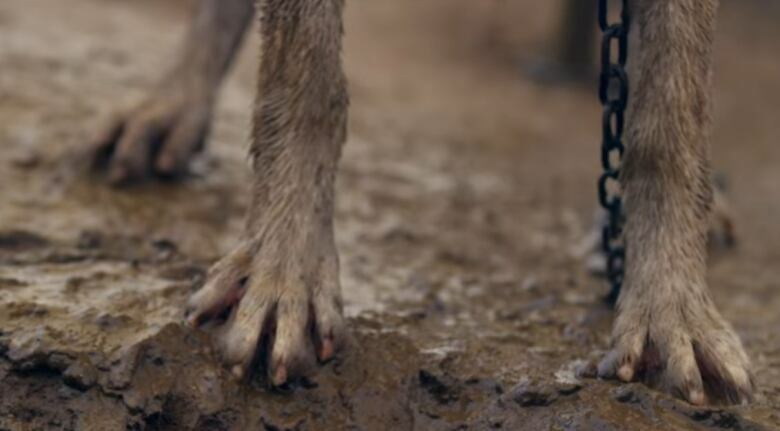 "People need to know how these dogs are really treated," wrote Ashley Keith, an Colorado activist with Sled Dog Action Coalition, in online comments about the trailer. "I've been involved in sled dog sports since 1998 and am very happy that there is finally a film which will do for sled dogs what Blackfish did for Orca whales," she added. But some industry professionals say the film smears an entire industry, with a focus on the worst examples of abuse. One scene shows a pile of dead dogs abandoned by an Alaskan breeder, who was described in a U.S. court as a hoarder. "All the kennels I know of love their dogs like it was their child. This movie is not telling the truth at all!﻿" wrote Casper Nielson of Team Asavakit Huskies in response to many of the comments online. 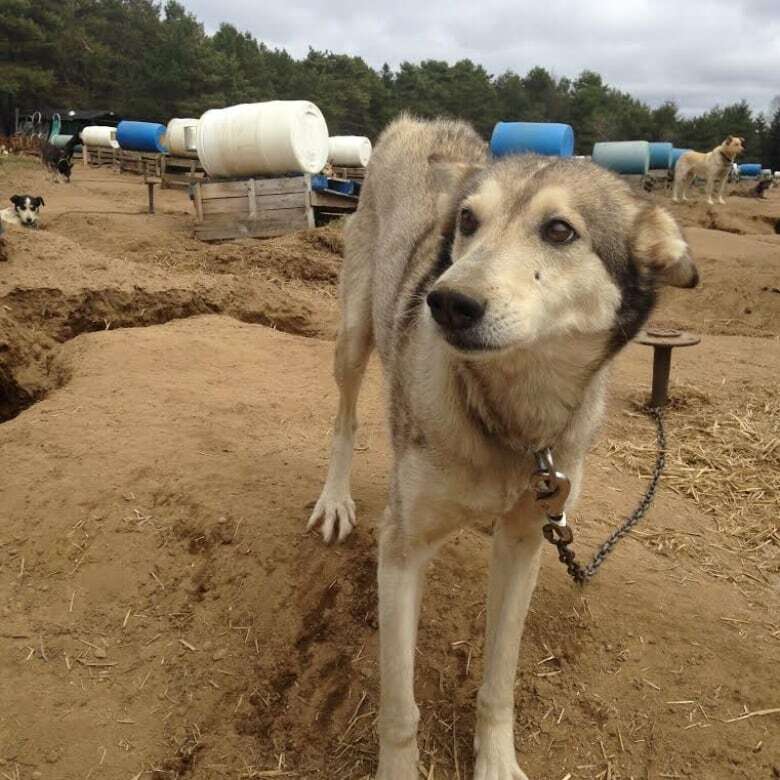 Critics say Levitt promised to look at humane dogsledding businesses, but her focus changed, and some participants felt misled. 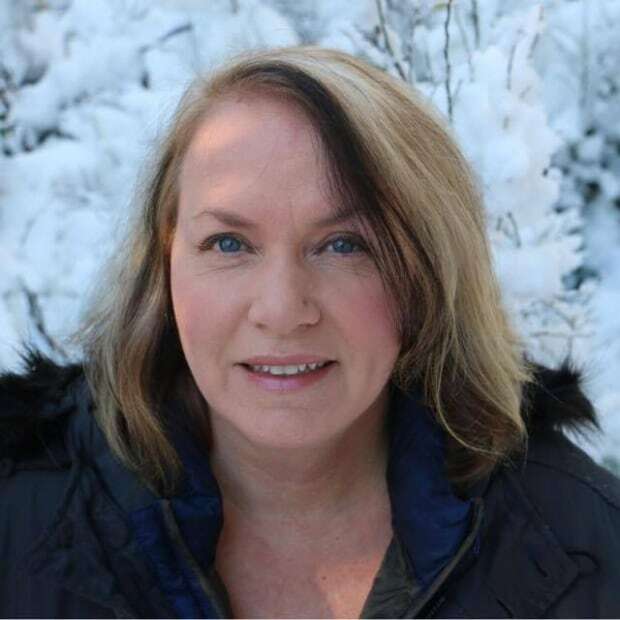 Her film looks at Krabloonik Kennel founder and seven-time Iditarod competitor Dan MacEachen, who was charged with animal cruelty in Colorado. Images of his kennel, before he sold it, show dogs circling on chains and chewing metal, some with bloodied faces. 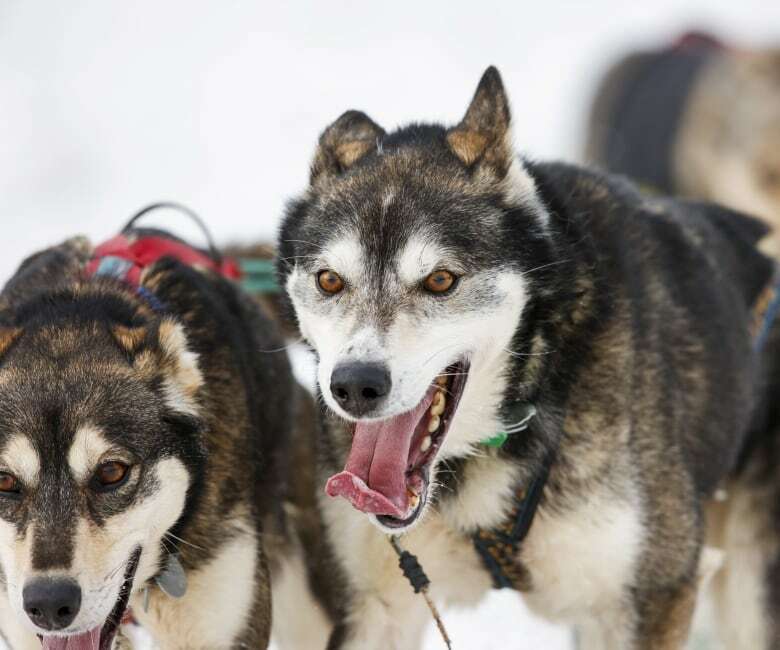 Sled Dogs also shows the life of a racing dog behind the scenes on the gruelling, nearly 1,600-kilometre Iditarod, where some dogs are pulled out because of stress, injuries or bleeding ulcers. Over the years, at least 140 dogs have died in the race, which was originally envisioned as a relay to deliver a medical serum, not an endurance test for one team. 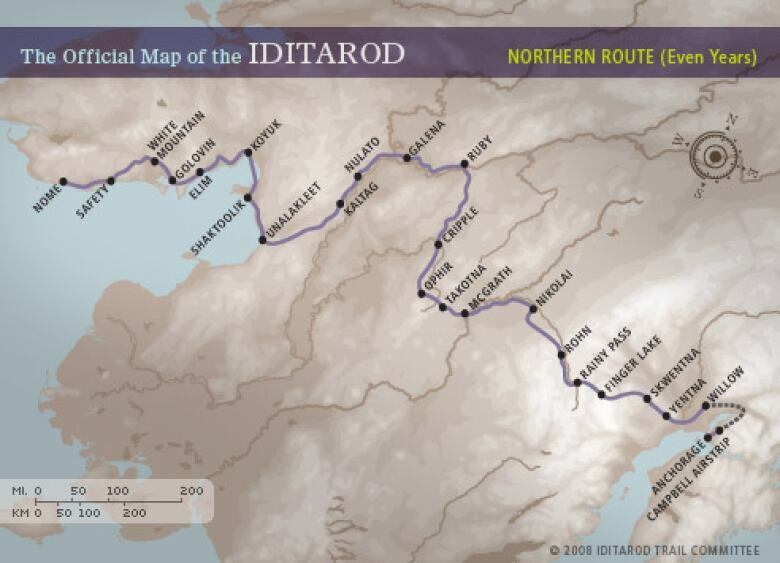 Asked to comment on the documentary, the Iditarod Trail Committee (ITC) released a written statement on Nov. 10, saying that it was, "victimized by animal rights groups hell-bent on imposing their agenda on us." The committee added, "Any musher found guilty of inhumane treatment would be disqualified and banned from competition." Levitt said her film reflects what she discovered. "I went looking for the truth," she said. The film also follows a sensitive, first-time Iditarod racer as he struggles to massage and care for dogs, stressed by the harrowing, icy race. Levitt interviewed a long-time handler, who describes the "sadistic" treatment of dogs, some of whom he said were beaten or killed behind the scenes if they could not race. "I interviewed those who are for the industry and those who are against it. It will be up to the audience to decide," said Levitt. In the film, activists like former Alaskan handler Mike Crawford say sled dogs are sacrificed for glory. "[Mushers] do it for the fame. They do it for the money," Crawford tells Levitt on camera. But it's comments like that which rankle many mushers. "I give sled dog tours and my dogs sleep in bed with me," said Washington dog musher Connie Starr. "This film is slanderous and misleading and should be pulled from the film festival lineup. Yes, there are some bad actors.... The mushing community shuns those people as well." 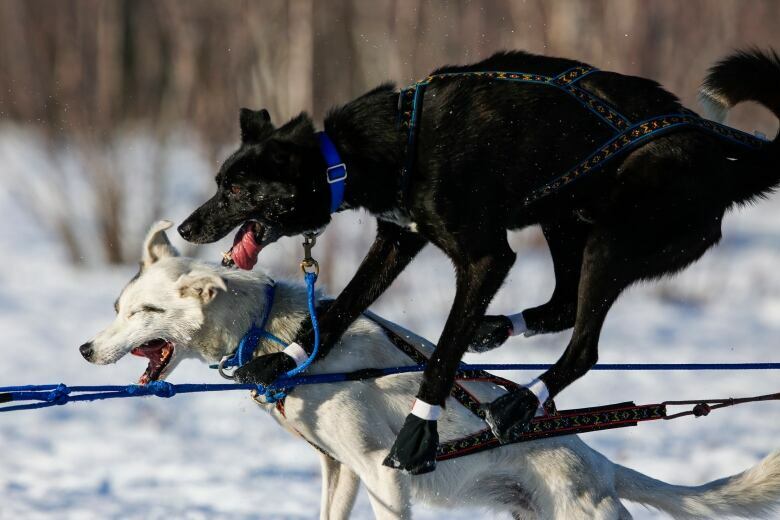 Starr said sled dogs are treated like prize race horses. "You are not going to put bad gas in your race car," said Starr. And it's not about profit or fame, she said. Preparing for the Iditarod or the similar Yukon Quest race costs at least $20,000 to $30,000 and means a year off work. "They are doing it because they love to be out on the trail with their dogs," she said.